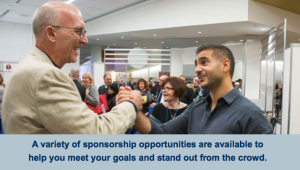 Develop brand recognition and maximize your visibility by taking advantage of OSBA’s sponsorship opportunities. Position your company as a trusted resource. Peters Kalail & Markakis Co, L.P.A. Working with OSBA is a very easy and professional experience. Staff took the time to understand our goals, budget and target audience to craft a unique strategy to help us reach our audience. We were presented with a variety of mediums in which to communicate our message and the flexibility in the sponsorship package made us comfortable with the value we received for our marketing investment. Bob Hyneman, senior district vice president, VALIC Financial Advisors Inc.